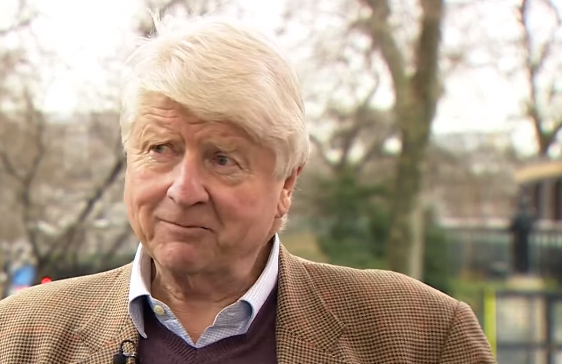 Stanley Johnson, father of Brexiteer-in-chief Boris, has said that there is no majority in the UK parliament to deliver Brexit after a Leave vote in the referendum. He argues that EU legislation protecting the environment is part of British heritage and that ditching it could lead to legal challenges from the European Commission and Court of Justice. Stanley Johnson is an author, former MEP and EU official, and co-chairman of Environmentalists for Europe. He is also the father of former London Mayor Boris Johnson. He spoke to EURACTIV founder Christophe Leclerq. There are a lot of assumptions here. It is a lovely scenario. I think that a lot would change in the sense that there would be some areas where common rules do not apply anymore. I have the feeling that people would think that they have ‘regained control over some aspects of their life’. That is the tenor of the Brexit debate at the moment. Do you want to be a big fish in a small pond, or a small fish in a big pond? I think that in the end people are going to voting with hearts as much as with their heads in this issue. To answer on an institutional level, let’s assume you have a Brexit vote, this referendum is supposed to be a legally-binding one, but the reality is that you would still need votes in the House of Commons and approval in the House of Lords, if there were some necessary legal steps to be taken. You would need to repeal the European community act of 1972. In theory you can spend two years negotiating, but you could also pick up your chips and walk out. Some things would stay because they’ve already been transferred into British national law. What you can be sure of is that it would be difficult for the parliament not somehow to give effect to the results of the referendum. Maybe you need another general election soon after the result of a Brexit vote, which results in a composition of the British parliament which is different from today. If you look at the composition of the parliament today, you might find 200 people for Brexit, and 400 for remain. Currently the Conservatives are split half and half; the labour party is in favour of Remain; the Scottish National Party is in favour of remain; the Greens and the Liberal Democrats are in favour of remain. The current composition of the parliament won’t deliver a Brexit majority. This begs the questions: What do you do on 23 June if you have a clear Brexit vote? How do you deliver the result of that vote in parliamentary terms? You were an MEP a long time ago and are now spokesman of Environmentalists for Europe. In short, what is this group doing? Is it mandated by any major NGO to speak for the Remain campaign? Environmentalists for Europe is a group set up by myself and by Baroness Barbara Young, previously the chairman of English Nature and CEO of the UK environmental agency. We are not mandated to speak for NGOs; we do not have a formal structure, but a steering committee which functions on an all-party basis. NGOs like Green Alliance & Friends of the Earth are also part of this steering committee. If the UK was not part of the European Union, some people claim it could perhaps be more ambitious, in terms of climate change goals. What are your thoughts on this? I think it’s an implausible suggestion on many levels. First, if you look at the EU’s position on climate change, leading up to COP21, you will see that the EU owed a great deal to the UK’s position. The UK takes quite a prominent position by means of the Climate Change Act of 2008, amplifying the effects of its own policy by putting it into the EU [frame]. I think it’s unlikely that the UK could have gone further individually. Because realistically this is a game of competitors and there were people in this country who questioned how far ahead of the pack you could sensibly go, while still retaining industrial competitiveness. Brexiteers are coming from many different directions, and I respect many of their motivations. The democratic basis of continent-wide decisions can be questioned. But one area of motivation for Brexiteers is a desire to reduce the burden of regulation, so I am not convinced that in a Brexit situation there would be a rapid movement to recreate, rebuild or strengthen some or all of the environmental measures that would be jeopardised in a Brexit scenario. What would be the impact of Brexit for EU energy policy and Energy Union strategy? I imagine that the UK would remain a member of the International Energy Agency. There is the IAEA in Paris, and the European Energy Charter which is not an EU body. Secondly, there is the EU’s energy policy which is not as developed as other policies. There is language in some of the treaties which reserves some energy policy decisions for individual member states. Using my time in the European Commission as a basis, I would say that Brexit would not affect the UK’s energy policy that much. Do your policy arguments actually make a difference to British public opinion? It remains to be seen. The proof of the pudding will be in eating it. It won’t be clear even after the referendum. It won’t be until we have valid polling of voter motivations that we know the [impact] of environmental issues in the referendum debate. I personally believed it was very important for voters to have a view of all the evidence. As it happens, the key issues put forward at the moment are the economy and migration. I do not yet get a sense that fear of damage to the environment in a Brexit situation has been a major determinant in the way the debate has gone. You lived in Brussels and your children went to school there. What is your message to Britons on the continent? I do have a special message for them: it’s an important issue that does not merit snap decisions or interventions. I would like them to reflect on the achievements of the EU over the last 40 years in environmental policy. I’m talking about clean seawater, clean beaches, and air quality in major cities. Should these laws be breached, the European Commission and the European Court of Justice will be invoked and may even intervene legally. I am proud and pleased that there is a European dimension to the protection of nature. It’s not only about what’s good for the UK. It’s about what’s good for Europe, which the UK is a part of. EU legislation is part of our heritage. You are also the father of two Tory politicians: Boris in favour of Brexit and Jo is a minister that advocates Remain. Do you ever discuss such matters at family reunions? Yes, of course we do. There is not necessarily a million miles between us. My personal view is that there are still some important reforms to be made in Europe, and I wouldn’t necessarily diverge 180 degree from Boris’ own analysis. However, I would wish to stay in the EU and to push for these reforms from the inside. Take the issue of migration: what we need to do in a Remain scenario is for the British diplomatic machine to reengage at full throttle in European diplomacy. This migration issue will not be sorted out in the “renegotiation” which David Cameron conducted. We need to deal with the migration issue in a far more satisfactory way than through the renegotiation that Mr Cameron held. I think we will find that in Europe, there are far more allies than people may currently suspect. 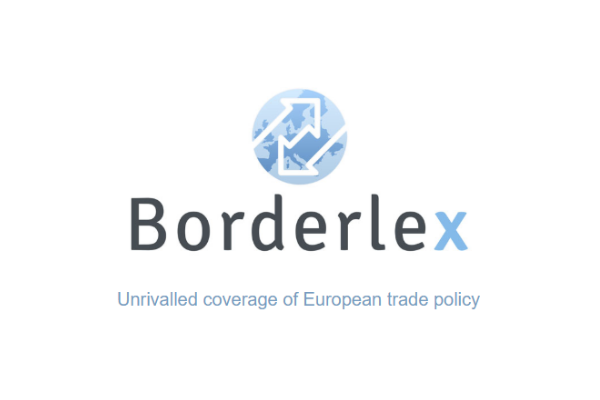 This issue behoves EU countries to look again at the applicability of all the language in Article 45 of the Treaty on the Functioning of the Common Market. Realistically it is not possible to imagine that the current freedom of movement rules in the EU treaty can survive. I don’t think this is dealt with, with Brexit. Collectively we must look at this treaty and look at how it can be dealt with. You have talked about the need for allies, but there is the feeling that the UK has lost a lot of goodwill. Can it really be influential even if people vote “remain”? I believe that there will be a tremendous sigh of relief around Europe if Britain votes for remain. It would behove our allies in Europe to look carefully at why we might have come so close to the brink. The migration issue has played a major role in this debate. Net annual migration is around 360,000 people a year, raising the population of the UK to over 70 million, with 80 million in the not-so-distant future. This is not a tolerable situation. I’m old enough to remember the 1960s. I remember de Gaulle announcing the “chaise vide” policy. France absented itself from the business of the European Economic Community for one to three years. It only came back when the EEC reached the Luxembourg compromise. In effect, a veto right on important matters. If Britain stays, the most urgent matter is to deal with the immigration problem. Internal and external migration issues must be addressed. Some claim Boris’ stance is a ploy to distance himself from David Cameron and that he actually believes in some Europe. How do you see it? One of the queries of the Brexiteers is whether the eurozone has been good for Europe. In or out, the eurozone will have an impact on Britain. Is it right for Britain to pull out, and then look at the eurozone area as it sinks? How much more of a productive stance would it be to be fully engaged in Europe and to make the best contributions we can to the eurozone? This could be in modifying or terminating it, or at least that the worst features characterising it be rewritten. Can you see a scenario where the Euro would disappear? The Euro’s disappearance would be by far the preferable scenario. I do not think that you can combine a democratic approach to politics with a situation where the very heart of a country’s policies is determined outside of the normal national democratic process. It would be ironic if the eurozone achieved some kind of suppression of democratic rights. The freedom of states to run their own economic affairs seems to me a necessary freedom. The common currency is not the Holy Grail. It’s time for people to look at the euro and say “it was a nice idea, but I didn’t work”. When it’s Stanley then it’s about the The Euro’s disappearance which hots the topic ..! For me The Steerling has disappear and implement new currency for Scotland ! The problem with the Euro is well known. We have a common currency but individual countries have control over their own expenditure and taxation. So there are two possible solutions, and both are nearly impossible to implement, to either give the countries their currencies back or implement central control over their budgets. So the normal national control,which is based on democratic approval, would have to be transferred to a trans-national control, which also needs a democratic approval. It’s a problem they can’t walk way from. Well if politicians do not act on the majority will of the electors after June 23rd that says far more about the prospects of such politicians being re elected than it does on a Brexit between 2015 and 2020, just as it would had the referendum been about joining the EU and politicians not acting upon the electors wishes.